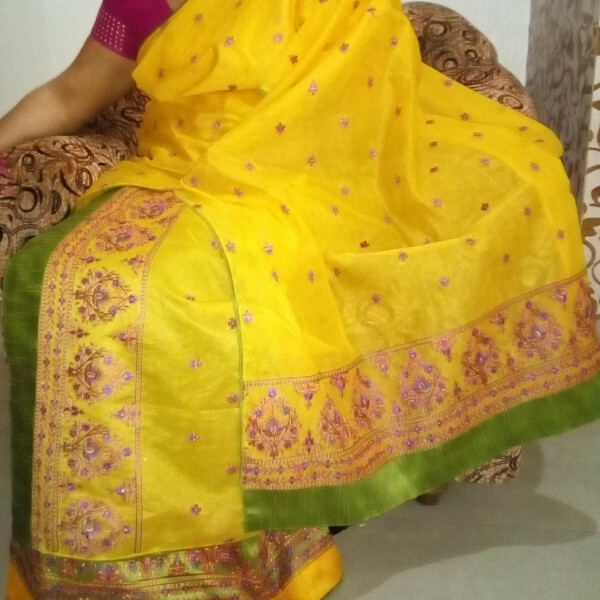 Ikkat Khadi Printed Sarees on Off white base having Red printed border with stripe design and yellow print on middle and Asol part of the Saree. Material care: Both hand or machine wash is preferred. Satin Bangalori printed plain saree with lace border and Heavy Marble material. Satin Bangalori printed outside lace border plain Saree with Heavy Marble material. Satin Bangalori plain Saree with printed lace border and Heavy Marble material. Satin Bangalori printed outside lace border plain Saree with Heavy Marble material in Pink colour.